Do you want to get up-to-speed on latest hacker techniques? The WSUSpect and SMBv2 are 2 papers which deserve close review. Apparently WSUS can be intercepted if not set up with SSL. If HKLM\Software\Policies\Microsoft\Windows\WindowsUpdate has a URL without a https:// address then it is susceptible to the injection attack. 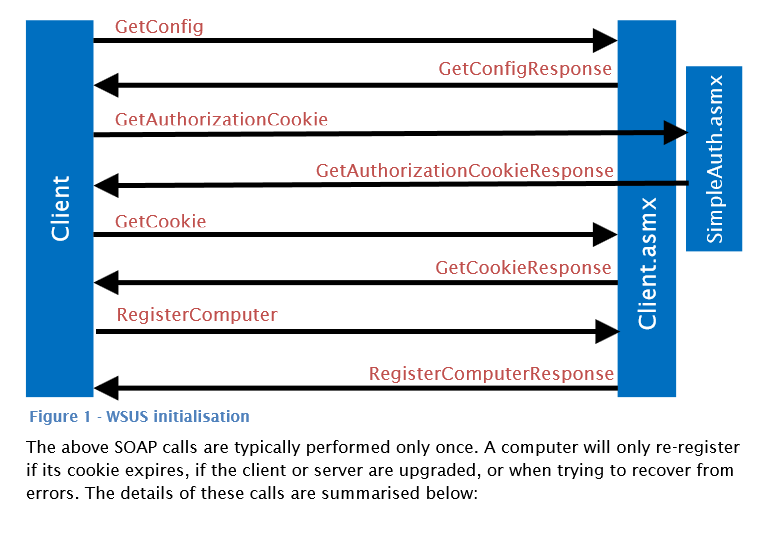 Fix your WSUS configurations – setup SSL. Apparently there is a failure in the Single Sign On design as the french Kiss attack allows the attacker to capture a Windows SSO username and NTLMv2 hashes of passwords. And then the password can be cracked with certain configurations with 8 digit passwords within 2 days. The exploitation works when a computer tries to connect a remote share on the Internet, they can then sniff the traffic and steal the password hashes. The problem is also for any Windows public terminal servers (Or cloud servers). So do you have a cloud system? Do you connect to a remote desktop system with terminal services? Then you are susceptible with this attack. That is a short summary for now – I may edit this post later.